This course covers the fundamentals of programming using the scripting language Python and is geared towards any scientist with a need to process data in novel ways. Topics that are covered include an introduction to UNIX, the fundamentals of programming, scripting with Python, and object-oriented programming. As part of the course, students are required to do a programming project related to their research. No previous knowledge of programming is required. General Biochemistry Lab (BCH4053L) is the laboratory course associated with the General Biochemistry lecture series (BCH4053 and BCH4054). 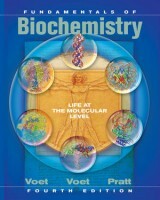 It is designed to teach students fundamental laboratory approaches and techniques in protein biochemistry, molecular biology, and DNA manipulation. 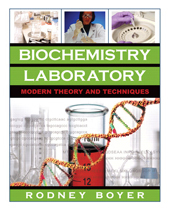 These techniques form the foundation for many of the experiments of a contemporary biochemical research laboratory. This course will cover many techniques including protein purification, quantification, and analysis; DNA manipulation and molecular cloning; and immunobiochemistry. This is the first course of a two-semester program recommended for chemistry, biochemistry, biology and pre-med students. The goal is to provide a comprehensive overview of the chemical concepts that govern the biological processes of life on our planet. Topics to be covered include protein structure, protein function, membranes, enzyme catalysis, bioenergetics, and carbohydrate metabolism.